Are There Enough Grab Vehicles to Meet Our Cities' Needs? This could be why booking has been a pain lately. There are no two ways about it: It’s been especially tough to book a Grab lately. Many users can (and do—often vehemently) attest to the difficulties. “I have to start booking at least 30 minutes in advance,” says Donna*, a working mom who relies on Grab to get to work every day. She has had to adjust her daily schedule to accommodate the difficulties but still finds herself stuck at home during the rush hours. Another user, John*, once had to keep booking for all of two hours before Grab could find a driver to give him a ride home on a rainy day. Meanwhile, Greg* rues the time that he missed a meeting in Mandaluyong because the Grab driver who accepted his booking was too far from his pickup location in Makati. The consensus among Donna, John, and Greg is that while Grab is an incredibly helpful, essential part of their lives, it has also become so unpredictable, causing inconvenience. There are complex factors that affect the ease or difficulty of booking a ride with Grab: your location, the time of day, the weather, the fortuitous incidents and conditions of the road. But there’s one factor that can be addressed immediately, to great effect: Grab is held back in its ability to meet the demand. 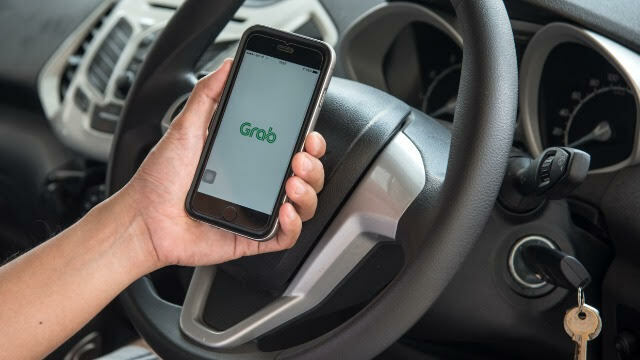 Currently, Grab is operating with a limited number of vehicles. So arriving at the solution to the problem starts simply enough: Give Grab more cars. Last February, the Land Transportation Franchising and Regulatory Board (LTFRB) saw this problem and decided to raise the allowed number of ride-hailing vehicles from 45,700 units to 66,750 units nationwide. The landscape of ride-hailing services has changed since then, and more and more people find themselves relying on Grab as a daily means of transportation. In August, the LTFRB finally opened and started processing 10,000 new slots, and while this is definitely good news, it is only one step toward meeting the increasing demand for rides, especially since the holiday season is fast approaching. A fair assessment of the current state of Grab is enough to show that everyone will benefit if the cap were raised. As it is, Grab manages to help people every day: drivers have a livelihood opportunity, and passengers have a way to get around. There's definitely a lot of room for improvement though, especially when considering that the Philippines, despite being the first Asian country to approve and implement ride-hailing, has the lowest allocation rate in Southeast Asia. If the vehicle cap is raised to the proposed 80,000 cars, and we all continue to work together to continuously re-evaluate and respond to the ever-changing needs of the riding public, there's no reason for anyone—drivers and riders alike—to feel underserved. This article was created by Summit Storylabs in partnership with Grab.